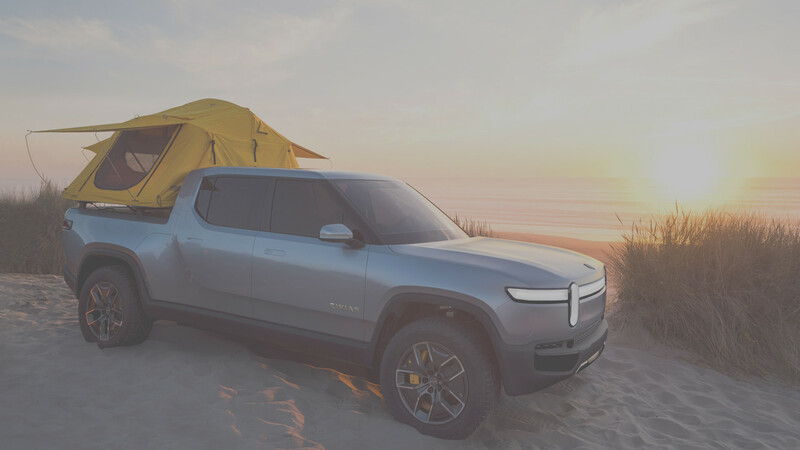 We were commissioned to position Rivian, an automotive newcomer, as the industry leader in sustainable mobility. 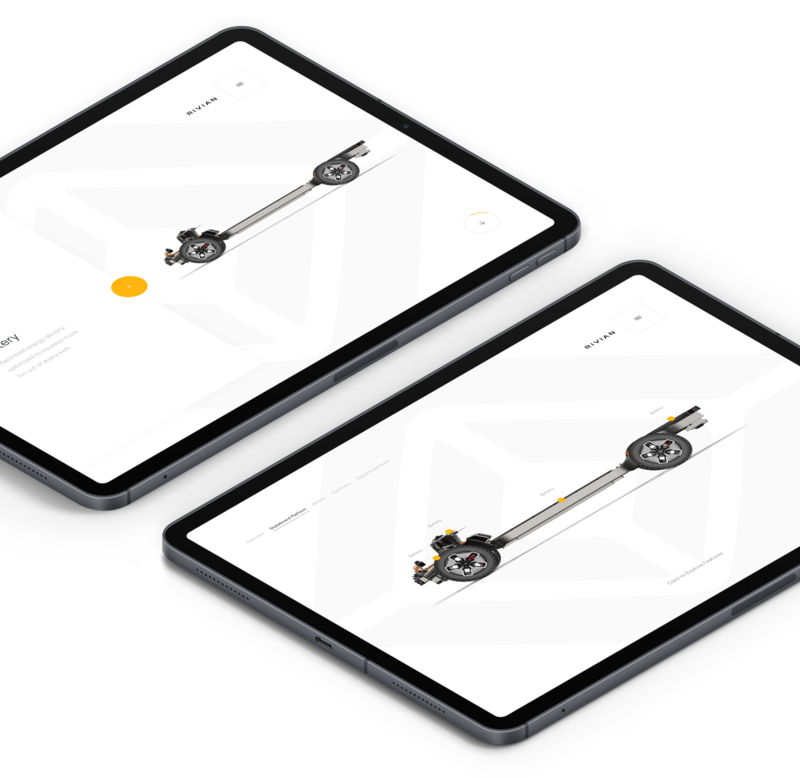 Starting with a digital experience to build anticipation around their first line of best-in-class Electric Adventure Vehicles (EAVs), we communicated their promises without ever showing their product. 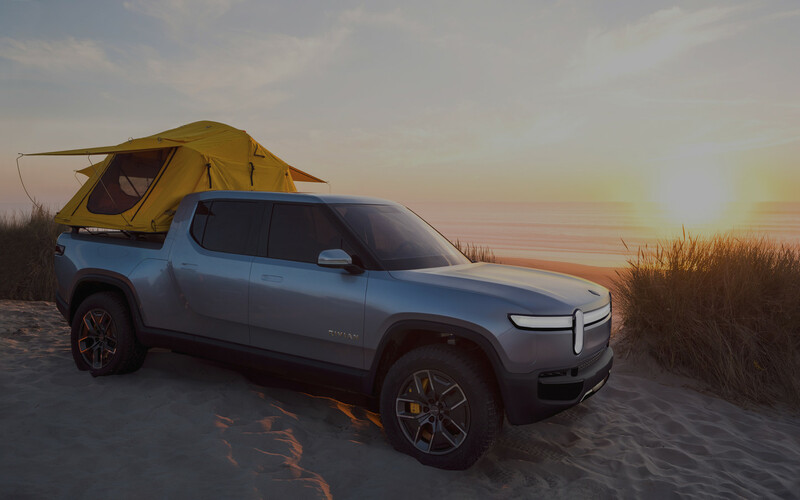 To represent Rivian in an innovative way, our goal was to understand the boundaries of the brand and push them when appropriate. 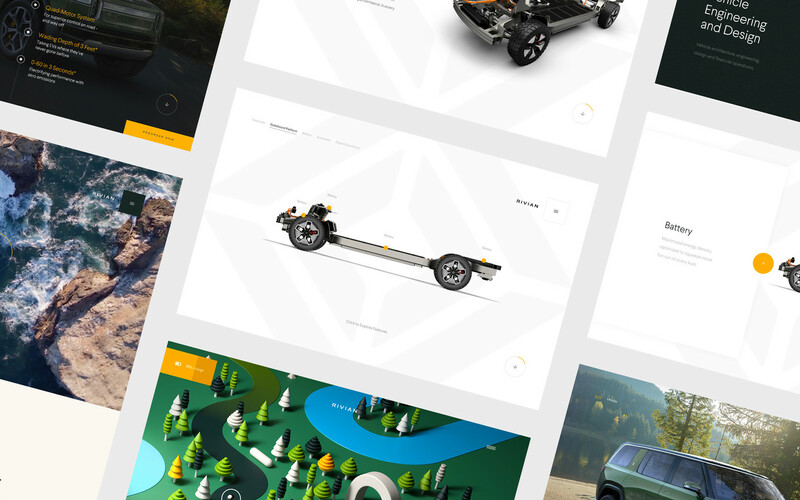 We wanted to create an exciting yet seamless evolution of art direction throughout the three launch phases. 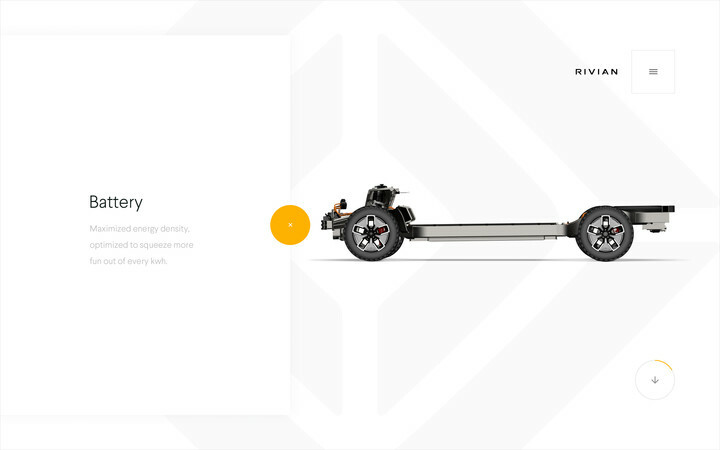 With the design of product still underway, we took advantage of the opportunity to be adventurous and imaginative. 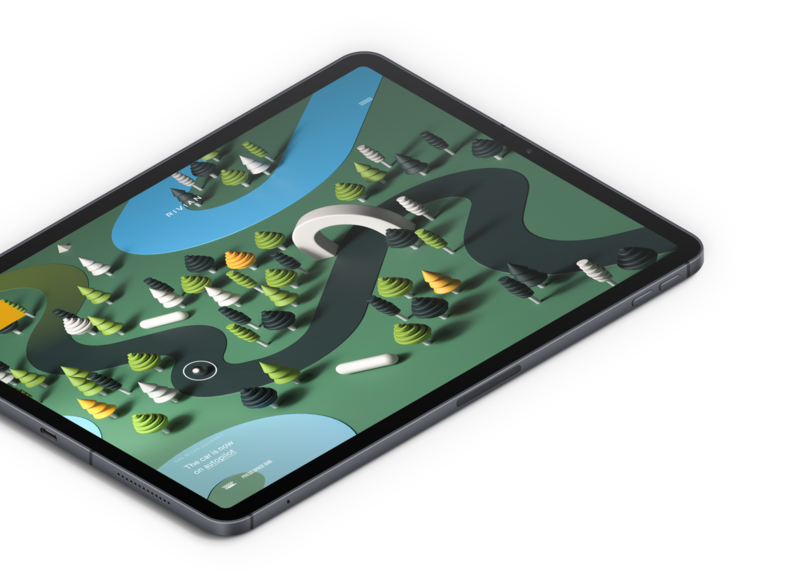 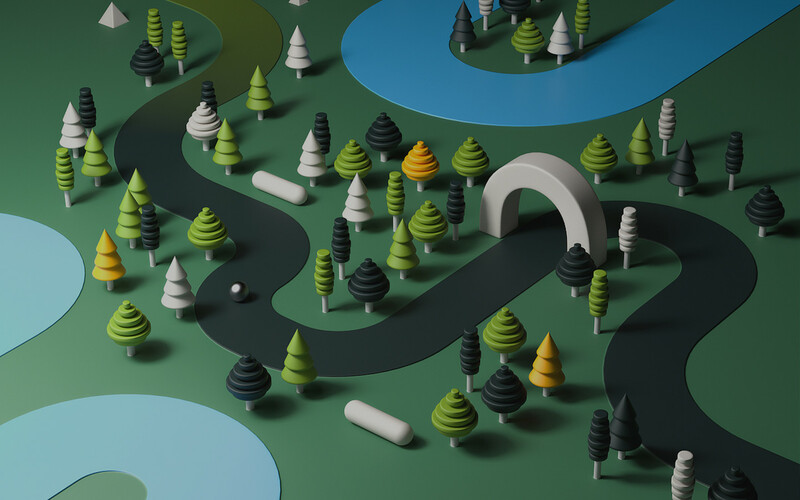 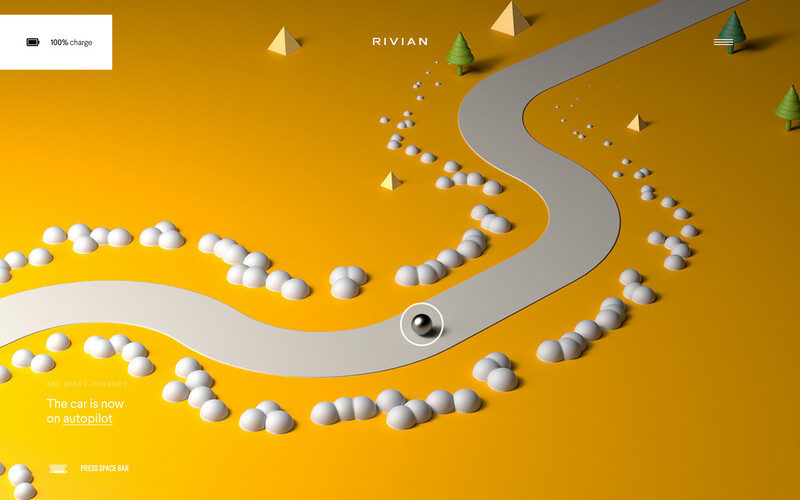 We created an experience using 3D environments to show an abstraction of Rivian in different elements, illustrating the concept of a limitless potential as a precursor to other website launches. 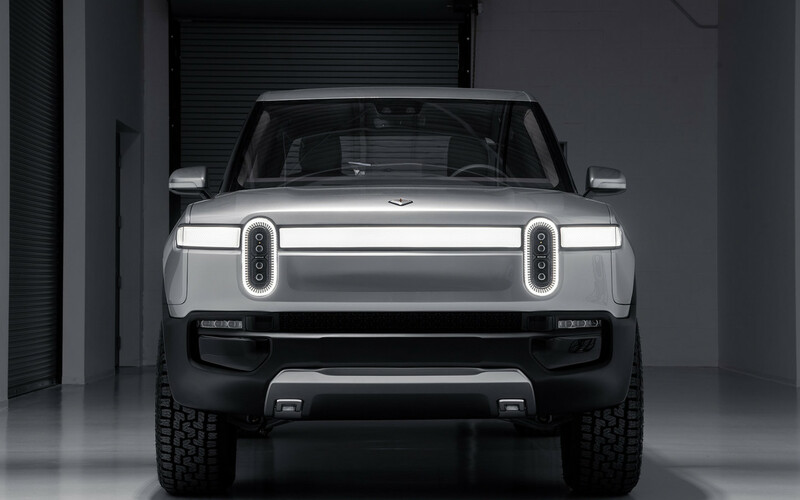 With a media embargo in place, we could not display the product before the public unveiling at the 2019 LA Auto Show. 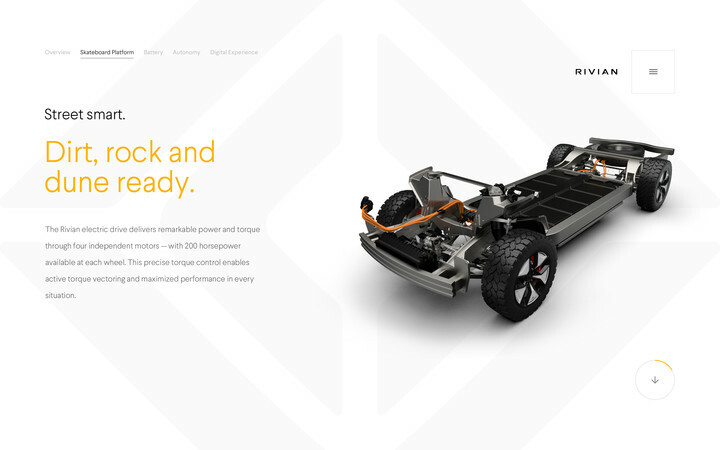 We focused instead on the technologies that would power the R1S and R1T. 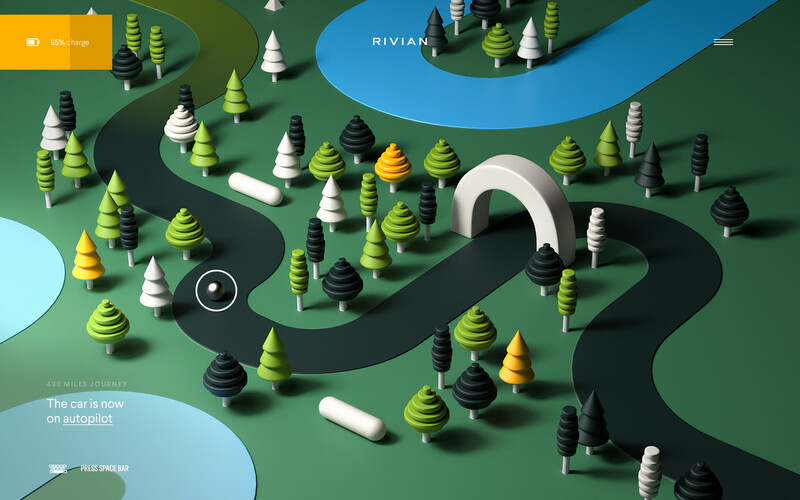 Using WebGL, we created an interactive tour of Rivian's technologies to showcase how Rivian is built from a clean sheet and thoughtfully integrated to enable exploration without compromise. 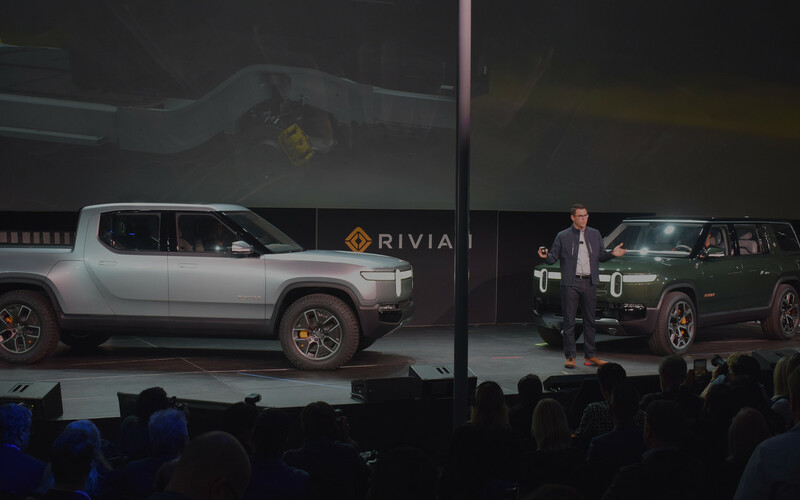 The technology pages of the platform features the skateboard platform, battery, autonomous driving and connected digital experience of driving a Rivian. 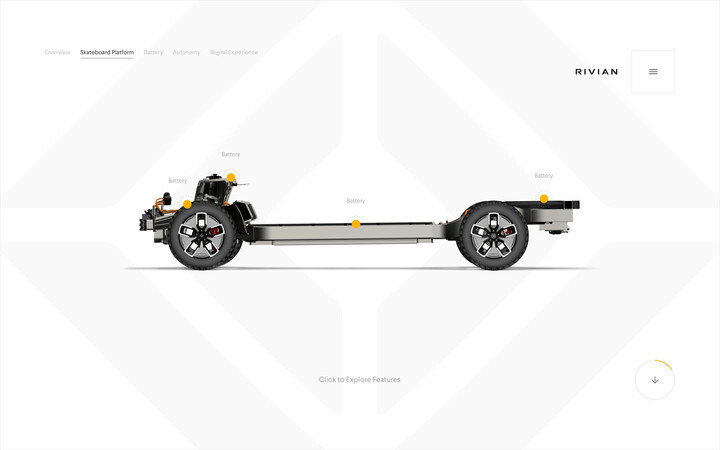 By clicking on interaction points, car enthusiasts can learn about the unique characteristics of the R1T and R1S's powertrain, air suspension, battery and dynamic roll control. 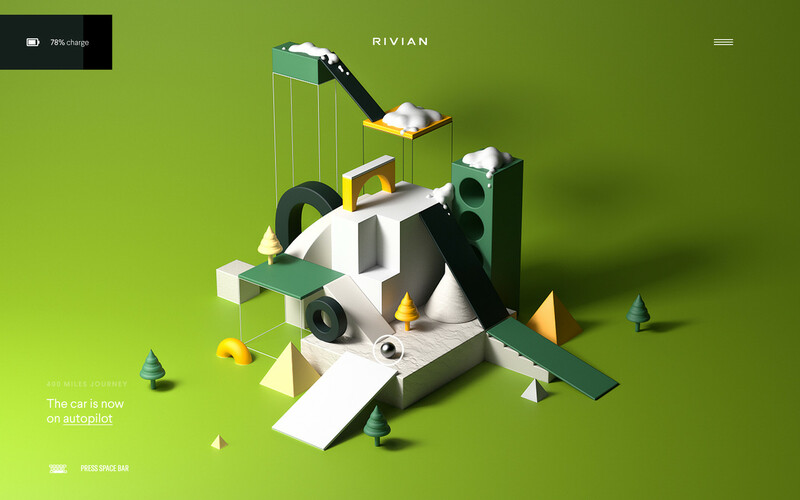 With careful coordination and collaboration with the Rivian team, we launched the product pages, fully outlining the specifications of Rivian’s first fleet of Electric Adventure Vehicles. 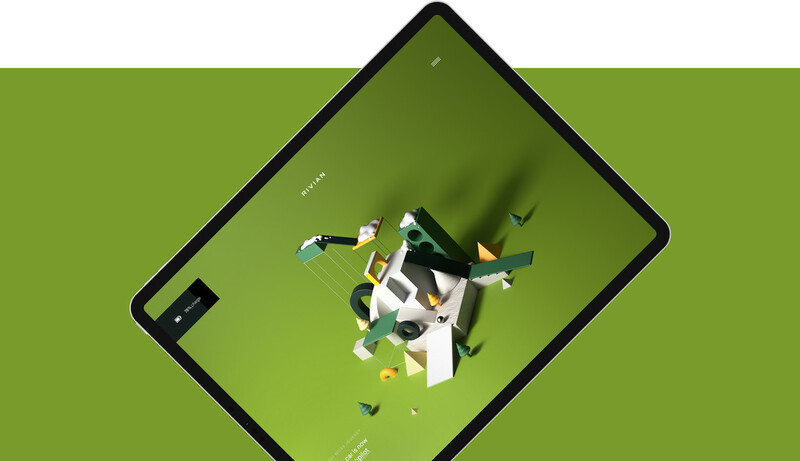 Oui Will's hallmark: Authentic storytelling, inspired creativity and guaranteed ROI.